This week I was invited to the head office of Rotolight in Pinewood Studios, London to check out one of their flagship products, the Rotolight Neo. This is an LED light that can mount to your camera or can be used off camera using boompoles or light stands. This constant light source that can run off six AA batteries claims to be industry leading in areas such as brightness and color accuracy. But at $399.99, is it a worthy investment? As a professional videographer, having a portable light source that is reliable and consistent is of high value. A creative and purposeful application of lighting can often bring a touch of gloss to your productions. Rotolight understands this requirement, and has invested heavily into the tech that is included in the Neo. The official language can be found on the Rotolight product page, but key features include 1,077 lux brightness at 3 feet distance, 3,150 to 6,300K variable color dial, 0-100 percent flicker-free dimming, and skin tone replication under artificial light to 1 percent accuracy. The light is very well built, and the dial control is simple and reliable, yet light enough to mount on top of a camera or a camera rig for run and gun shooting. Having confidence in the accuracy of the color temperature will certainly save time in postproduction when trying to equalize white balance across a selection of sequences. The light is clearly bright enough for this kind of work, especially if there is a single subject. For groups of people, the Neo will struggle, but I probably wouldn’t use such a small light source in the first place for group work. In my opinion, the unique selling point of the Neo is in its creative and effects capabilities. This battery-powered light source can help you create a beautiful, wrapping light around your subject anywhere you are shooting, with the added benefit of getting an attractive circular catchlight in the eye. A selection of gels come as standard and are simple to fit for more creative options. This brings us to my favorite set of features, the effects options. The Neo will replicate the light of special effects such as lightning, fire, and TV light. The demonstration of this lighting seemed very accurate, and can probably be best shown in this fascinating promotion video by Rotolight. Visual Effects Veteran Stefan Lange ("James Bond Spectre," "Batman") takes us through some of the real-use cases for these effects. As a music video filmmaker, these tools could be of great value to setting mood and tone in narrative sequences. There was recently a case where I wanted light spill from a TV onto my subject, and the light source from the TV was too faint, so we ended up waving card in front of an extra light source to try and replicate the lighting effect. The biggest discomfort is the price point. Retail price is $399, although B&H does currently have an offer on them for $239. At this price you could pick up four cheap Chinese-made battery-powered LED lights. So is it worth the money? 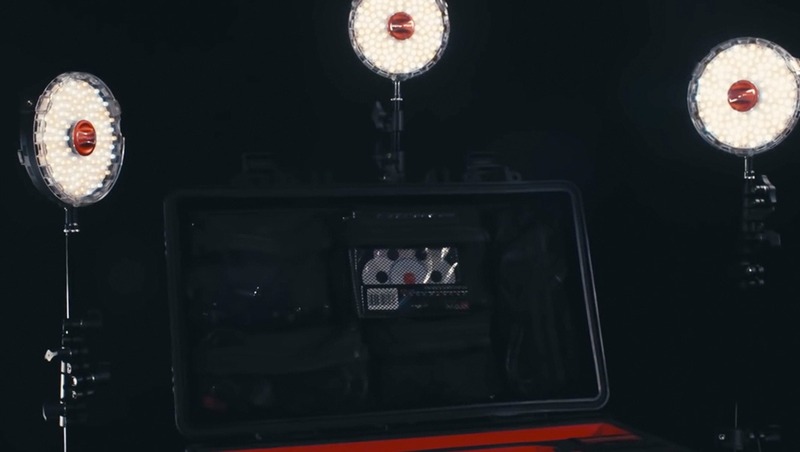 Lighting is one of the most important tools you have as a filmmaker, so investing well in the right gear that will provide consistent results is of great importance. I’ve used cheap battery powered lights for some time now and am always delighted that I have them in my bag, but setup is often trial and error to make sure I’m getting the right exposure through the camera. Because of this, and after the impressive demonstration day at Rotolight’s head office, I was convinced enough to purchase two Neo lights and will give a full real-use review after I have spent some time with them. 1) Very short runtime when using batteries. NO V-mount! I think it can be bought extra but it is completely overpriced. EDIT: I can see why you didn't include a V-mount @Rod. It would still be nice to have a higher capacity battery that attaches to the unit itself though. 2) As it is a mixed LED panel light output is at its optimum only at mixed color temperature (I think it was 4600K). A single color balanced LED is much better because you get more power. Color temperature can then be changed by putting a gel on. -> More light = better for video. 4) I experienced flickering when running on batteries. EDIT: Clarification > I don't mean flickering as seen with fluorescent light sources but visible jumps in the power output when the battery is not fully charged. As my batteries got drained very quickly this happened after 10 min or so. 5) Overpriced! There are cheaper options out there with similar specs not to mention if you put another 100$ in you get really nice video LED lights from other manufacturers with much more power. Hi Helmut, Rod from Rotolight here. I hope you are well. Sorry to hear you personally did not find the NEO to be relevant to your application. The Rotolight NEO consumes only 9watts per hour of usage (at 100% power). 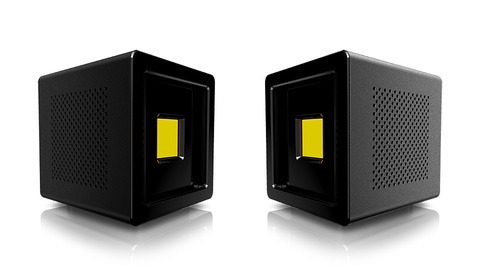 That makes it the most efficient on camera LED light on the market. The run time on battery will be entirely determined by the quality of the battery you use. The NEO is a professional grade light and as such it is important high quality batteries are used with it. We particularly recommend the panasonic eneloop pro which is a very high capacity rechargeable battery, and for the quality it is very reasonably priced. goo.gl/6K6Unh On the Eneloop Pro AA, the NEO will run for 3 hours continuously, at 100% power. 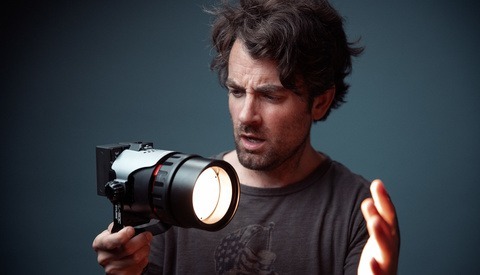 I am not aware of any other on camera light that could achieve than run time. "NO V-mount! I think it can be bought extra but it is completely overpriced." A V mount battery would be larger than the NEO itself! If you want a light that can have a V mount battery mounted directly on to it we make the Anova PRO and there are many lights out there but they are for an entirely different application. The NEO is designed to be camera mounted, or mounted on a light weight light standing for highly portable, interview/ ENG, filmmaking and photography applications, it would be extremely heavy and cumbersome with a V mount attached - that would weight more than the light itself. That being said, we do sell a Dtap cable accessory for <$20 which plugs into the DC input socket in NEO and will plug into any brand of V mount with a Dtap socket on it which you could hang in a bag from the lighting stand if you wish (Anton Bauer, PAG, our own brand etc), and as it consumes just 9 watts - on a 95 watt hour battery - NEO would run for 10 hours at 100% power!! 2) "As it is a mixed LED panel light output is at its optimum only at mixed color temperature (I think it was 4600K). A single color balanced LED is much better because you get more power. Color temperature can then be changed by putting a gel on. -> More light = better for video." 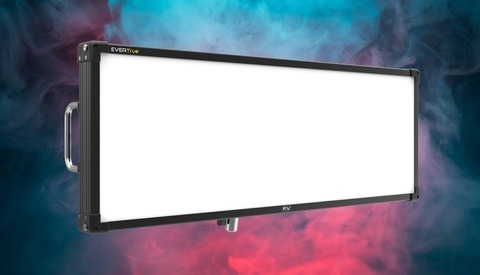 Bi Colour lights offer a huge amount of flexibility to Video/ Cine work by reducing the amount of time it takes to dial in accurate colour temperature which is why they are the dominant form factor amongst LED lights for Video work from any manufacturer. When you use a gel on a light, it cuts light output often by 20-30%, and of course it takes time to change the gel, they are easy to loose etc. We do sell fixed colour lights in our Anova PRO range, but the application for these typically would be for photographers who typically care most about raw light output as opposed to ability to change colour temperature. The Bi Colour light is by far and away our most popular model(as is also reflected if you take a look at B&H's best selling LED lights for example). As mentioned in the article, the NEO has some industry first features which can be extremely useful for a filmmaker such as our CinesFX modes (lighting, fire, TV etc) - this mode makes full use of the NEO's bi colour ability - with the fire effect for example being able to the customised to the desired colour temperature - and there is also an option in this mode to add blue to the peaks in the fire - just like a burning hot fire would burn blue at the very top. So by making NEO fixed colour, you then loose all the versatility of this light. 3) "Visual FX are a nice extra BUT fading doesn't work from 0-100% but more from 10-100% which means the light jumps from a little light to black with no fade. So no real fade at all..."
The Fade in NEO a completed fade to black : 0-100%, not 10-100%. 4) "There is flickering when running on batteries." I have never heard of this before with a NEO, but again i would bring you to my response in point 1. 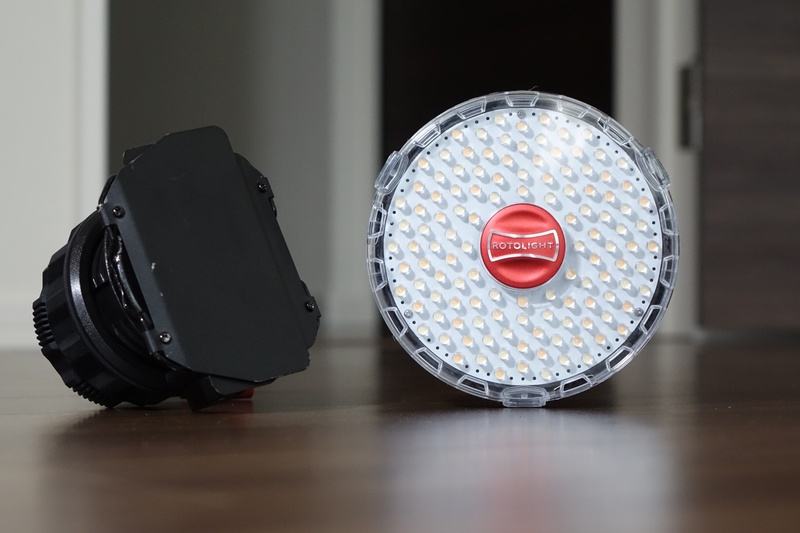 NEO is one of the most power efficient on camera LED lights in the market. It is therefore entirely down the quality and specification of the battery you put in it that will determine its battery performance. The NEO has active battery monitoring built in so that rather than cut out mid interview without notice as many lights would do, the NEO gives you a low battery warning in advance, and simply reduces the light output by 10% to allow you to continue shooting until you have an opportunity to change the batteries which is a very useful feature. 5) "Overpriced! There are cheaper options out there with similar specs not to mention if you put another 100$ in you get really nice video LED lights from other manufacturers with much more power." NEO has industry leading colour rendering performance (Skin tone CRI 99), unique soft light output, and industry first features not found on any other light in the market which really do enhance creative possibilities for video and stills shooters including CineSFX for customisable lighting FX, Designer Fade mode for custom fade up/fade down for DSLR shooters who do not have an available 'auto-fade' button on camera, and True Aperture Dimming mode which accurately calculates your Fstop at your specified distance. First off, thanks for your detailed response! I tried two different kind of high capacity Ansmann batteries in the NEO unit I received and they only lasted for about half an hour. My unit had a serious flickering issue when running on batteries and the fade jumped as written when fading. These are the things I observed myself. Maybe my unit was faulty. I have a Neo 2 kit since Friday and absolutely love it. Can't wait to light and shoot with it. But I am experiencing one of the issues Helmut did. The fade out effect fades the light down to black beautifully. But the fade in 'jumps' on quite strong and then fades up to the selected strength. It definitely does not fade up from black. Could this be a software issue? Is this an issue or behaviour you guys are aware of? It will be nice to put the name of the other product to explore the competition. I have one of these lights. Its benefit is that it doesn't run on heavier V-Lock batteries as it is designed to be a lightweight / on-camera style light, (that you can of course use off camera). The colour accuracy is excellent with no horrible spectral spikes, (that can never be colour balanced out). I've not experienced any flickering on batteries. Quality and pedigree costs a little more. Yes it's more £££ than some others, but worth it in my opinion. (Written from the perspective of a 20+ yr Director of Photography in broadcast TV). Written from the perspective of a 20+ yr Director of Photography in broadcast TV. You want a V-mount on an LED light that's smaller than the battery itself?! Are you #*$&ing HIGH? I've been working as a professional DP since the start of the Clinton Administration so I feel like I possess the clout to state quite firmly that I believe that you have absolutely no idea what you're talking about. Yup, I'm sure that's what you were thinking. Look out, Professor X.
I am glad you don't have the same experience as I had Lee. The colour accuracy is indeed nice and is better than with other lights! Another thing that bothered me though is that when battery is getting low the light "jumps" to a lower percentage and that jump is visible when recording e.g. an interview. Can you second that Lee or was it just me that had those issues? Never experienced that - but I monitor my battery life carefully and rarely allow batteries to go low when needing my lights. I routinely swap batteries before they need replacing and so carry lots of spares. If a battery is allowed to run very low then chances are the workflow needs adjustment. As I mentioned in my other comment my batteries got drained very quickly by the unit I got. It didn't even last half an hour. After 10 min the NEO already showed low battery warnings and switched to a lower light output. So either all my batteries are broken or the light I got from Amazon was faulty. I am eager to give it another go though with another light. Btw I always start my shoots with fully charged batteries and lots of spares, too. They usually last a couple of days in my flash units so I never had this problem before testing the NEO. Keeping an open mind is always good. Maybe I just had a bad unit with the flickering but that was only one point. I am really interested how many minutes yours last when running on battery. Keep us updated! I bought Rotolight Neo about two months ago after watching Jason Lanier's Youtube channel. I use the light for photography. This is a light weight LED unit with extremely high CRI that fits very well for portraits. I've used this in -20 degrees Celsius and have not had problems with battery life when using lithium batteries. For my use Neo has been well worth it's price. Cheap led panels have been problematic / unusable with poor skin colour rendering while Neo gives very good results. i can only comment on Jason Lanier vids on which he is obviously paid to promote the Neo 2 , he doesn't answer any questions that are in any way critical, i asked why he shoots at 60th of a second when using them and he said to let more light in?? why not turn it up for a faster shutter? Also on one of his vids shot in an Irish graveyard he goes on about the lovely catchlight in the models eye when its clear as day the light in her eye is a reflection of the sky and there is a horrible pin light in that shot which is the Neo 2 , when i asked him he just ignored the question, i can't take his reviews seriously its like asking a rep from burger king to recommend a burger.